Tandem commissioned Cristina Guitian to create a mural for the Irish Football Association's new visitor centre. 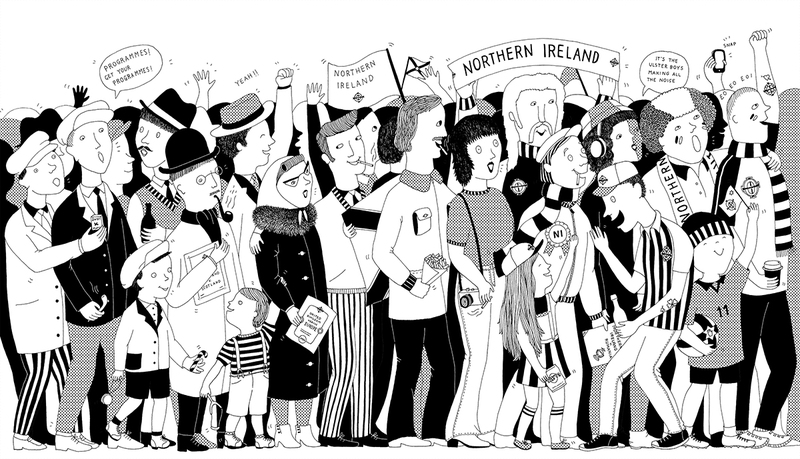 Cristina illustrated Irish football supporters through the decades, walking side by side into the stadium. The four metre long artwork is on display in the Education and Heritage Centre at Windsor Park. To see more of Cristina’s work, click here. Cristina Guitian is represented by Meiklejohn. Published on 26 April 2017.